IL | What Does IL Mean? 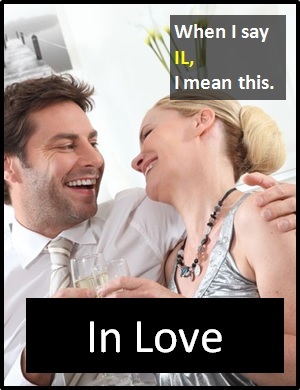 IL means "In Love" or "I Laugh". IL is also used with the meaning "I Laugh". In this context, IL is typically used ironically, as a response to a bad joke. This couple are definitely IL. Rob: Why are you being so weird? Sam: I'm IL and it feels great. Chris: I used to think I was indecisive, but now I'm not too sure. Ben: IL. But, not really. Before the digital era, we would have just said "In Love" or "I Laugh" instead of using IL.